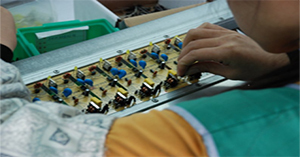 Shun Shing Standard Corporation Development Ltd. has been manufacturing a wide range of power products since 1974. Our products include linear power adapters, switching power supplies, battery chargers, and transformers. 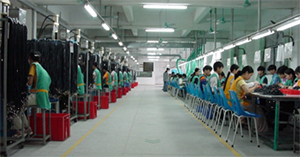 Our vertically integrated factory in Dongguan, China, established in 1983, houses our own plastic and metal division. Equipped with advanced machinery, all our manufacturing procedures and products meet international approvals and ISO 9002:1994/ISO 9001:2000 standards. Having all these ISO-certified facilities, we can provide one-stop solutions for all your power supply needs, from initial concept and design to development. Plus, we have a team of experienced and qualified R&D engineers who can develop products according to your exact specifications. Your OEM/ODM orders are welcome. Contact us now for more details.